Apple retail stores are struggling to handle a surge of customers looking to reinvigorate their iPhones with a special battery replacement procedure. Apple sharply reduced the price for a fresh battery following the revelation that it was purposely slowing performance of iPhones with older batteries. 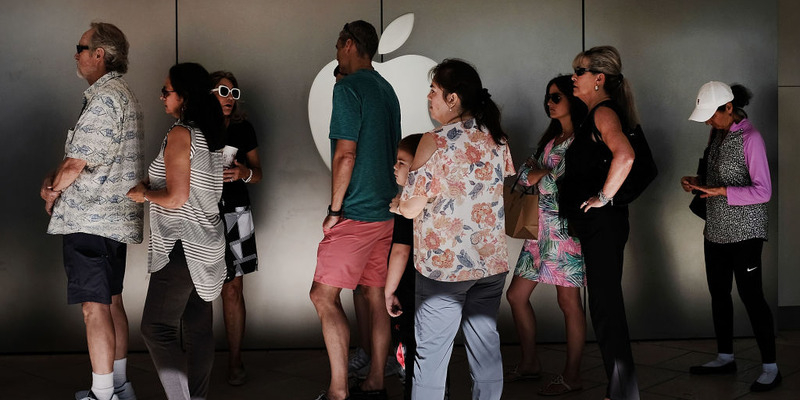 In the weeks since then, a never-ending parade of iPhone-bearing customers has swept through Apple shops, throwing chaos into the company’s pristine, carefully orchestrated shopping experience. At some stores, wait times to see a technician, or what Apple calls a “Genius,” can take hours. Many stores have set up triage-like systems, with dedicated stations or tables devoted to helping people who want a battery replacement. The unprecedented increase in visitors has left Apple stores without replacement batteries in stock. Instead of replacing the battery on the same day, stores must order batteries and contact customers when they arrive, usually about a week later. Even worse, Apple store employees say, many of the replacement batteries are going to users who don’t actually need a new battery, and for whom a battery replacement will not speed up their old iPhone. “I would say less than 10% of the phones we have ordered batteries for actually need a battery, based on diagnostics,” a Genius at a Midwestern Apple store told Business Insider. “I feel bad for the people that actually need batteries and have to wait because people think that Apple is having a ‘sale’ on batteries,” the staffer continued. Apple technicians run a battery diagnostic test to see how “aged” the battery is before replacing it – it measures how many cycles the battery has been through and how much of its original capacity is left. But as Apple technicians inform customers that their battery seems to be fine, based on the test, many customers are interpreting it as a subtle discouragement from replacing their battery, and are requesting the swap anyway. Most replacement batteries arrive in a week or so, according to Apple store employees and customers Business Insider spoke to. But there is a known short supply of iPhone 6S Plus batteries, says one Apple store employee. iPhone 6S Plus batteries won’t be delivered until March or April, according an internal memo seen by MacRumors . “Initial supplies of some replacement batteries may be limited,” an Apple representative told Business Insider in late December. APCustomers line up at an Apple store. For years many Apple customers have wondered why their iPhones mysteriously seemed to slow down right around the time that Apple was launching a new iPhone model. Conspiracy theories of “planned obsolescence” – a shady way of encouraging customers to buy a new product – abounded. So when a well-known developer of iPhone “benchmark” tests released performance data in December that seemed to support that theory, iPhone users were outraged. Apple acknowledged that it was purposefully throttling the performance of older iPhones in some cases. But it said the reason wasn’t to compel customers to upgrade; it was simply a result of the way Lithium-ion batteries work. Older batteries can’t always deliver enough juice for a phone’s processor when it’s running at peak usage, a situation that can cause a phone to shut down unexpectedly. No one wants their phone to shut down, so Apple’s solution was to slow down the processor’s top speed when batteries got too old. In an letter apologizing for the decision, Apple said it would offer $29 battery replacements for several iPhone models (including the iPhone 6, iPhone 6S, and iPhone 7) instead of the usual $79. Still, users are upset, and the revelation has raised questions from lawmakers and prompted several lawsuits. Wall Street is already worrying that the battery replacement program could stop consumers from buying new phones. Barclays analysts estimated that if 10% of iPhone users eligible for a battery replacement opted for a new battery over a new iPhone, Apple could sell 16 million fewer iPhones this year, potentially costing the company over $10 billion in lost sales . 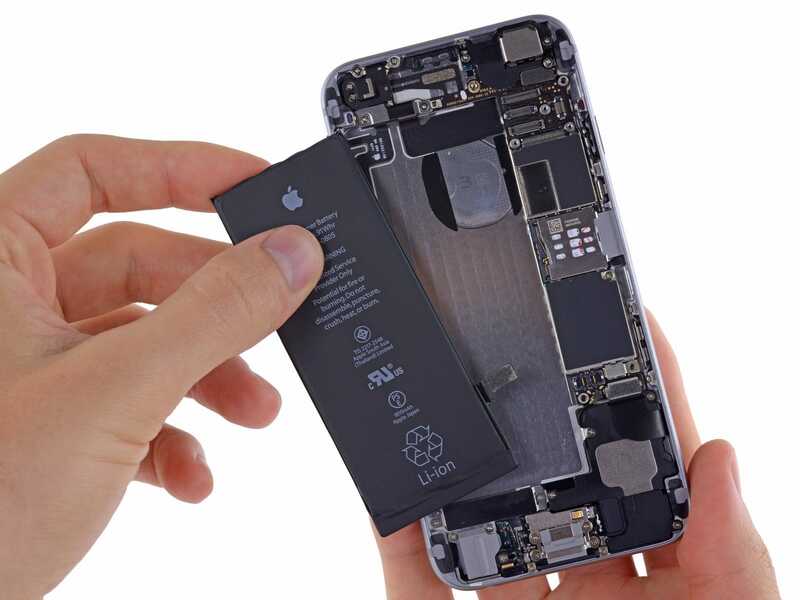 iFixitThe iPhone battery part that Apple is offering for $29. Users who want to take advantage of Apple’s offer should consider replacing their battery later in the year, when the battery is older and more spent. The $29 battery offer is good through the end of the year. While you can’t run an official Apple battery diagnostic at home, Apple says that it will offer new insight into your iPhone battery’s health in a future software update, which will tell you if you need a new battery. It’s also possible to contact Apple Support teams through Apple’s website or apps to find out whether you need a battery replacement. However, Apple support usually doesn’t share specific details about your iPhone’s battery health – it will only tell you if it’s “fine” or not. You can also download an iPhone processor speed test to see if your device has been slowed down due to an older battery. One thing to keep in mind is that Apple’s $29 battery replacement is a once-per-iPhone deal . If you replace your battery now for $29, you’ll have to pay $79 if you ever need a second battery swap on the same phone.